A growing number of organizations have recognized the importance of implementing environmentally friendly processes and policies into their business. In an effort to achieve operational efficiency, many companies are no longer solely addressing cost control, but rather have increased the emphasis on environmental sustainability. Fleet management software is capable of providing these companies with the ability to address both cost and environmental concerns in an overall effort to operate with maximum efficiency. Companies that utilize fleets in their day to day operations are crucial to many industries and the overall economy so it is unlikely the number of fleets will decrease any time in the near future. However, through constant analysis and tracking of fleet activity, fleet management software is able to monitor a variety of key performance indicators involving areas such as emissions levels and fuel consumption. “Fuel is one of our industry’s largest expenses, so it makes sense that, as an industry, we would support proposals to use less of it.” recently stated by Bill Graves, President and CEO of the American Trucking Association. The transportation sector is responsible for about 28% of all greenhouse gas emissions currently in the USA. The Obama Administration is working towards the development of greenhouse gas standards and vehicle fuel efficiency by 2016. They are ultimately working for a 10-20% reduction in fuel consumption and greenhouse gas emissions, depending on the type of vehicle, beginning in 2014 running through 2018. The significance of telematics is emphasized through recent proposals; fleet management services enable companies to monitor areas such as mileage, idle time, speed and fuel consumption, all which simultaneously result in decreased fuel expenses, emissions and overall fleet operating costs. 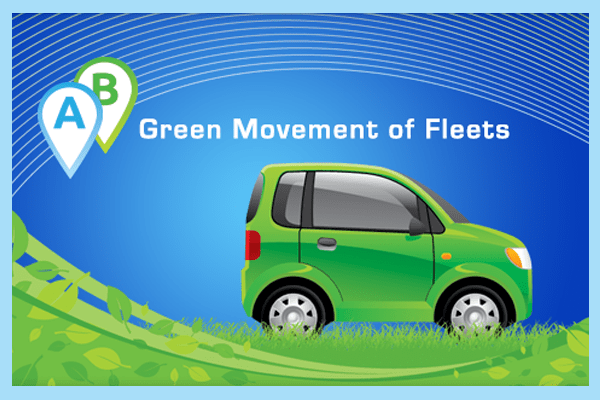 Contact us for more information about GPS fleet tracking and how you can start moving towards a Green Fleet.